Neuharth changed the look of American newspapers by filling USA Today with breezy, easy-to-comprehend articles, attention-grabbing graphics and stories that often didn't require readers to jump to a different page. 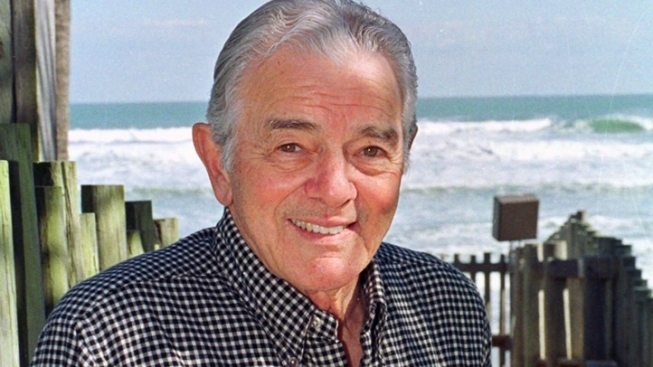 In this Dec.1999 file photo, Al Neuharth, founder of USA Today, poses at his home in Cocoa Beach, Fla. Critics dubbed USA Today "McPaper" when it debuted in 1982, and they accused its founder, Al Neuharth, of dumbing down American journalism with its easy-to-read articles and bright graphics. Neuharth had the last laugh when USA Today became the nation's most-circulated newspaper in the late 1990s. The hard-charging founder of USA Today died Friday in Cocoa Beach, Fla. He was 89. The news was announced by USA Today and by the Newseum, which he also founded. Jack Marsh, president of the Al Neuharth Media Center and a close friend, confirmed that he passed away Friday afternoon at his home. Marsh said Neuharth fell earlier this week and never quite recovered. Sections were denoted by different colors. The entire back page of the news section had a colored-weather map of the entire United States. The news section contained a state-by-state roundup of headlines from across the nation. Its eye-catching logo of white lettering on a blue background made it recognizable from a distance. "Our target was college-age people who were non-readers. We thought they were getting enough serious stuff in classes," Neuharth said in 1995. "We hooked them primarily because it was a colorful newspaper that played up the things they were interested in — sports, entertainment and TV." USA Today was unlike any newspaper before it when it debuted in 1982. Its style was widely derided but later widely imitated. Many news veterans gave it few chances for survival. Advertisers were at first reluctant to place their money in a newspaper that might compete with local dailies. But circulation grew. In 1999, USA Today edged past the Wall Street Journal in circulation with 1.75 million daily copies, to take the title of the nation's biggest newspaper. "Everybody was skeptical and so was I, but I said you never bet against Neuharth," the late Washington Post publisher Katharine Graham said in a 2000 Associated Press interview. The launch of USA Today was Neuharth's most visible undertaking during more than 15 years as chairman and CEO of the Gannett Co. During his helm, Gannett became the nation's largest newspaper company and the company's annual revenues increased from $200 million to more than $3 billion. Neuharth became CEO of the company in 1973 and chairman in 1979. He retired in 1989. As Gannett chief, Neuharth loved making the deal. Even more so, the driven media mogul loved toying with and trumping his competitors in deal-making. In his autobiography, "Confessions of an S.O.B.," Neuharth made no secret of his hard-nosed business tactics, such as taking advantage of a competitor's conversation he overheard. He also recounted proudly how he beat out Graham in acquiring newspapers in Wilmington, Del. He said the two were attending a conference together in Hawaii, and he had already learned that Gannett had the winning bid, but he kept silent until he slipped her a note right before the deal was to be announced. During the mid-1980s, Gannett unsuccessfully attempted to merge with CBS in what would have been the biggest media company at the time. The deal fell apart, something that Neuharth considered one of his biggest failures. Neuharth was proud of his record in bringing more minorities and women into Gannett newsrooms and the board of directors. When he became CEO, the company's board was all white and male. By the time he retired, the board had four women, two blacks and one Asian. He also pushed Graham to become the first female chairman of the American Newspaper Publishers Association. "He was a great leader," said former AP president and CEO Tom Curley, who worked closely with Neuharth for many years. 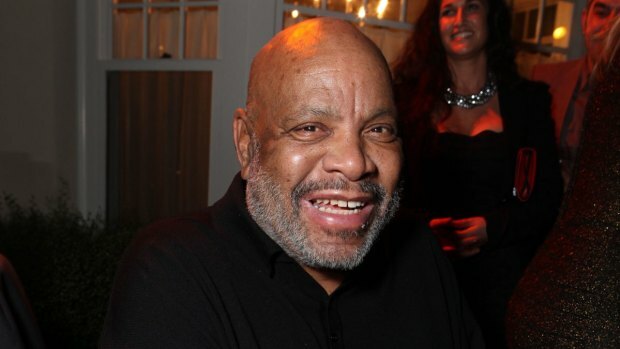 "He certainly was one of the pioneers on moving women and people of color into management positions. He was a very strong manager who commanded respect, I think, throughout the industry as well as from those who worked with him. His hardscrabble life, poverty in South Dakota and fighting in World War II prepared him for any battles in a competitive arena, and he loved to compete and he loved to win." Before joining Gannett, Neuharth rose up through the ranks of Knight Newspapers. He went from reporter to assistant managing editor at The Miami Herald in the 1950s and then became assistant executive editor at the Detroit Free Press. Allen H. Neuharth was born March 22, 1924, in Eureka, S.D. His father died when he was 2. He grew up poor but ambitious in Alpena, S.D., and had journalism in his blood from an early start. At age 11, he took his first job as a newspaper carrier and later as a teenager he worked in the composing room of the weekly Alpena Journal. His ambition already was noticeable. "I wanted to get rich and famous no matter where it was," Neuharth said in a 1999 Associated Press interview. "I got lucky. Luck is very much a part of it. You have to be at the right place at the right time and pick the right place at the right time." After earning a bronze star in World War II and graduating with a journalism degree from the University of South Dakota, Neuharth worked for the AP for two years. He then launched a South Dakota sports weekly tabloid, SoDak Sports, in 1952. It was a spectacular failure, losing $50,000, but it was perhaps the best education Neuharth ever received. "Everyone should fail in a big way at least once before they're forty," he said in his autobiography. "The bigger you fail, the bigger you're likely to succeed later." Neuharth married three times. His first marriage to high school sweetheart Loretta Neuharth lasted 26 years. They had a son, Dan, and daughter, Jan. He married Lori Wilson, a Florida state senator, in 1973; they divorced in 1982. A decade later, he married Rachel Fornes, a chiropractor. Together, they adopted six children. After he retired from Gannett, Neuharth continued to write "Plain Talk," a weekly column for USA Today. He also founded the The Freedom Forum, a foundation dedicated to free press and free speech that holds journalism conferences, offers fellowships and provides training. It was begun in 1991 as a successor to the Gannett Foundation, the company's philanthropic arm. Jim Duff, president and chief executive officer of the Freedom Forum, said, "Al will be remembered for many trailblazing achievements in the newspaper business, but one of his most enduring legacies will be his devotion to educating and training new journalists," according to the post on the Newseum website. Duff added, "He taught them the importance of not only a free press but a fair one." With his entrepreneurial flair, Neuharth put the Freedom Forum on the map with Newseum, an interactive museum to show visitors how news is covered. The first museum in Arlington, Va., was open from 1997 to 2002. It was replaced by a $450 million facility in Washington that opened in spring 2008. There was also the Newscapade, a $5 million traveling exhibit. In a June 2007 interview in Advertising Age, Neuharth was asked about the future of printed newspapers amid the upheavals of the news business. "The only thing we can assume is that consumers of news and information will continue to want more as the world continues to become one global village," he said. "The question is how much will be distributed in print, online and on the air. I don't know how much will be delivered on newsprint. Some will be delivered by means we can't even think of yet."